Esco, Meechie, thunder, and lightning. "Wicked" was a clear standout from Future's January Purple Reign tape. 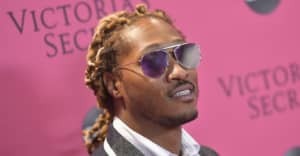 After performing the Metro Boomin-produced track on The Tonight Show Starring Jimmy Fallon in April, Future Hendrix has shared a new visual for "Wicked" and it captures the song's vibe well. Thunder and lightning flash in the background, Esco and Meechie do their dances, and Future emerges from the shadows. Watch the "Wicked" video above.